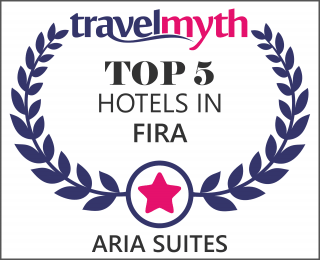 Aria Suites is an elite boutique hotel in Fira with view of the volcano and the historic Acrotiri, and is a hotel filled with the light of the Greek, Mediterranean sun. The six deluxe suites, the four sublime villas and all the outdoor areas give out the sense of simple yet exquisite Cycladic luxury. 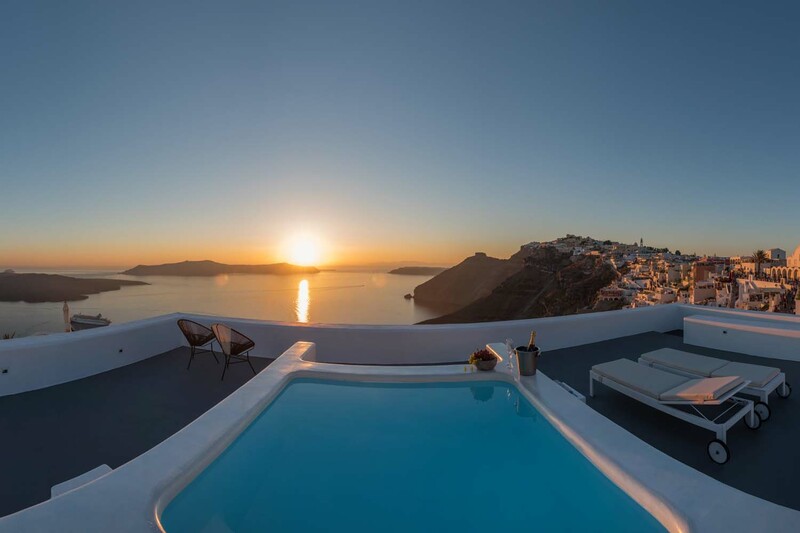 Black and white colors, Santorini’s trademark for the outdoor spaces, are dominant in all areas of the hotel and the Pool Bar, whilst whites and pastels with traditional furnishing in the suites. 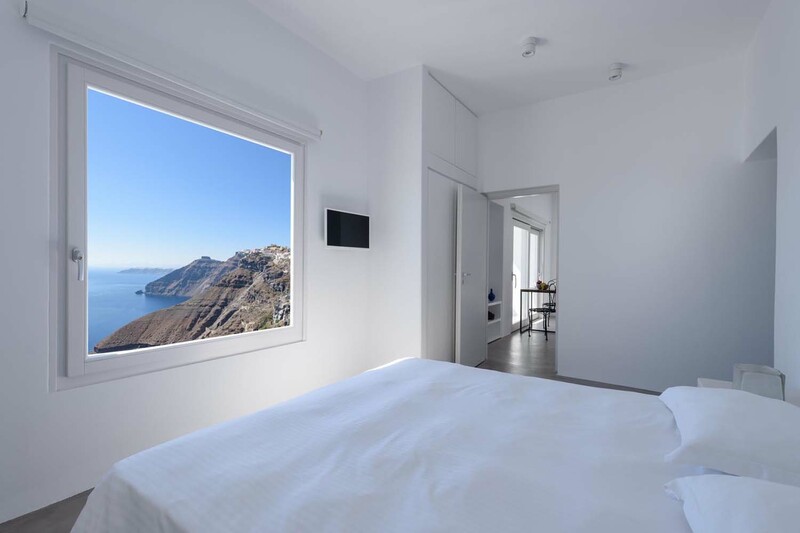 One of the pleasant surprises for the guest, the few steps you need to go up in order to reach the hotel, since it is located in one of the highest spots of Fira.